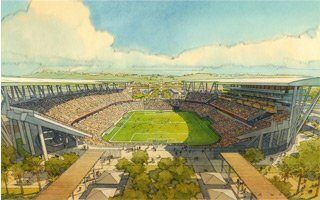 30.12.2017 USA: Could Nashville have the best MLS stadium? Simply put, the answer is... probably no. 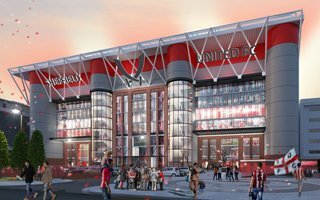 But if you ask Mark Wilf, minority owner of Nashville SC, he has a different opinion. No details as to what he bases it on, though. 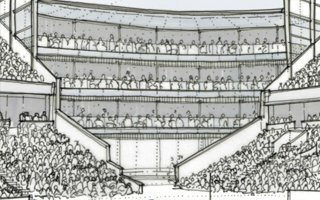 All-seating taken to the extreme? 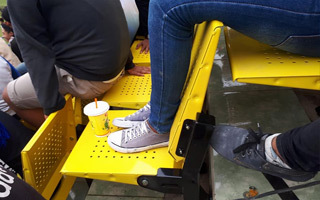 A hasty upgrade of Stadion Citarum in Indonesia ended up with people having the seats, but absolutely no room for their legs. Might be funny, sure, but isn't safe. 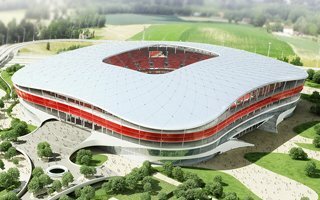 28.12.2017 Croatia: Finally, a realistic plan for national stadium? 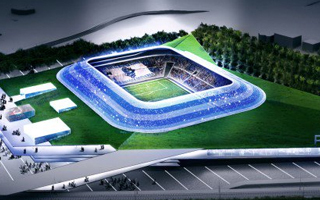 After years of failed dreams now Croatia may have a very sensible plan for new national stadium. One major flaw for now: it's not official yet, though leaked to a reputable media outlet. 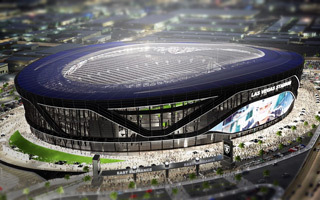 Transit planners are beginning to study ways to get traffic to-and-from a 65,000-seat domed stadium when it's completed near the Las Vegas Strip. 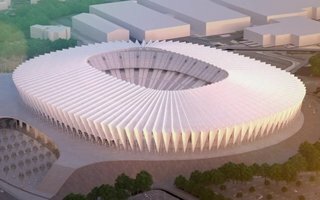 Next year's budget of Łódź is almost approved, pending just one more change. 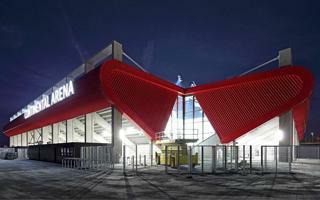 That change covers commencement of works on the expansion of ŁKS stadium to reach around 20,000 seats. 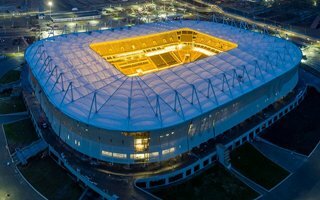 22.12.2017 France: 30,000-seater for Montpellier? 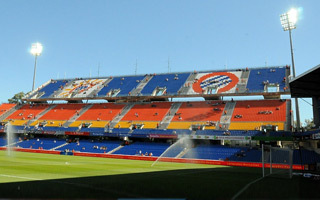 They missed Euro 2016 as host city, but that doesn't mean Montpellier abandoned their stadium plans. 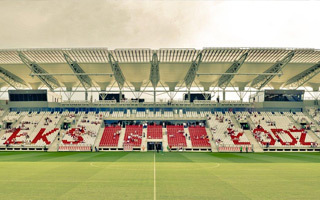 A taxpayer-financed 30,000-capacity stadium is likely to see groundbreaking in 2019. 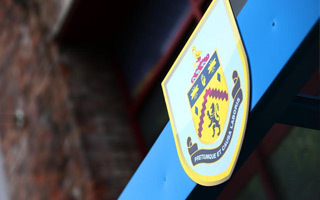 The top of the Premiership welcomes unfashionable Burnley into its ranks. All we seem to hear about of late is: have Man City already won the title race? Can Manchester United, Chelsea and Arsenal and Liverpool mount any sort of challenge to Manchester City’s dominance? Have Tottenham Hotspur shot their bolt? 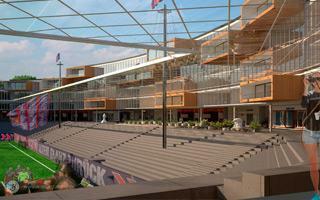 The project isn't finalised, funding structure isn't secured yet and the deadline was to end in 10 days. That's why Fiorentine asked for the second prolongation of the deadline. 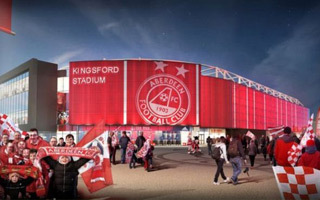 As Aberdeen FC announce the creation of stadium-dedicated subsidiary, we await the final decision of Aberdeen City Council in late January. 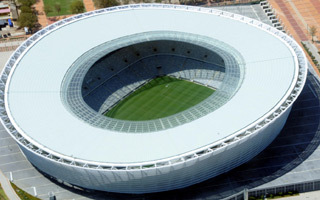 As construction is progressing on schedule, Tottenham Hotspur release latest stadium images. 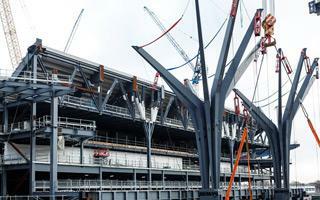 Aside from the seating bowl being almost complete, two massive steel structures stand out, nicknamed fittingly “trees”. Ground is now officially broken at the site of Stade de la Tuilière, as it's commonly known. Actual works have been going on for months, though, even if heavy snowfall hid it well. 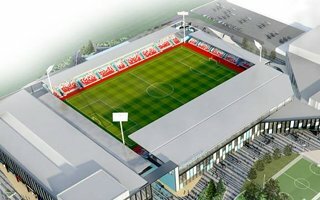 Since the 2015 opening new Regensburg stadium hasn't made a profit. Instead of climbing upwards, loss keeps growing every year. 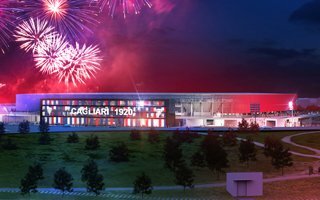 2018 is expected to be worse than previous years, with almost €4 million in the red. 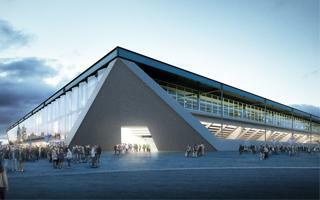 25 international design teams competed to design the new Cagliari stadium. Only 3 are left on the battlefield now, as Cagliari Calcio present the finalists. 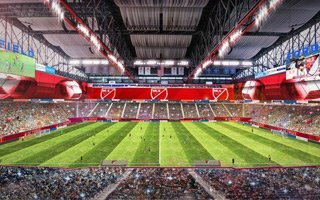 They have time until February to deliver final concepts. 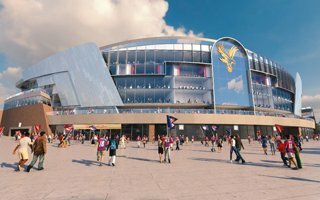 By August 2018 Turf Moor will have two of its four corners filled with new infrastructure. 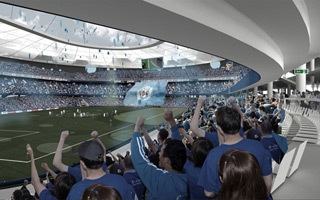 However, no significant increase is expected as these projects will accommodate solely the club's disabled supporters. 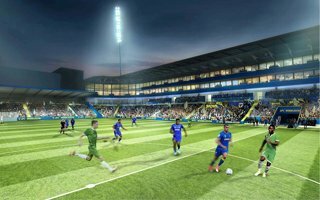 It's been an emotional day in south-western London, where many AFC Wimbledon supporters can now celebrate return home after decades. 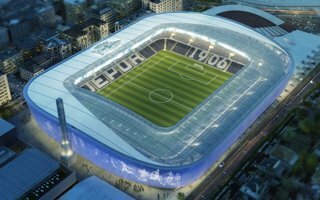 The new stadium agreement has been signed, opening planned in 2019. 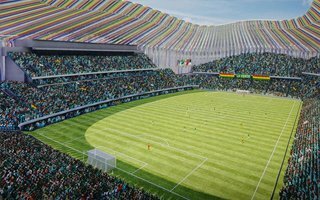 It's already one of the most difficult places to play in and things may become even worse for teams visiting Bolivia's capital. 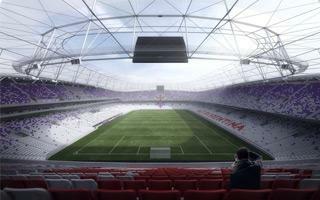 Now the crowd will be larger, closer to the field and noise amplified. It was due to open in November and yet the first official game is now scheduled as late as mid-April 2018. 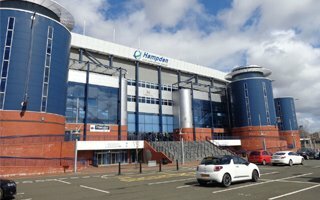 That's still enough time to run all tests required by FIFA. 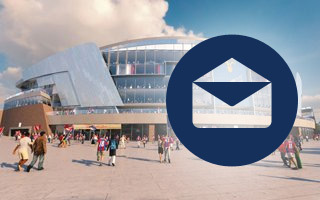 Almost 40 weeks into our newsletter we continue to have a lot to show you. This time we're in a “one design per day” mode and additions to our database will continue in the coming days. But first, see the four we enjoyed most last week. 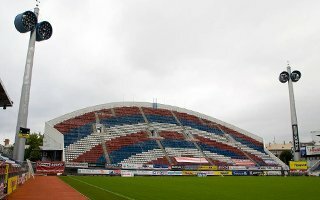 Football club Sigma Olomouc agreed terms of sale with the city of Olomouc. 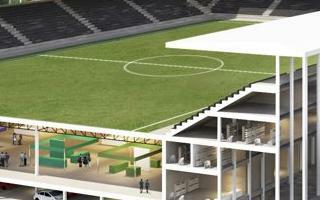 Taxpayers will pay CZK 144.9 million for the venue in order to secure public interest in football. 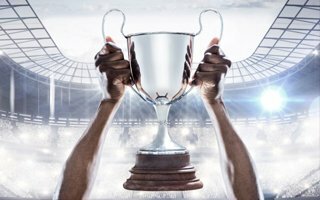 Our love for the beautiful game never really quiets down, which is why fans of the game are already excited for the FIFA 2018 World Cup. 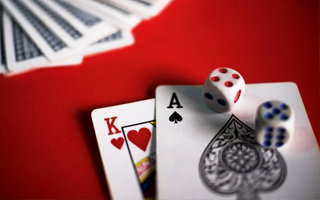 As with any community, there’s certain activities that prove more popular than others, able to span the generations in its intensity and accessibility, like Blackjack. It's exciting, worth knowing more about. But it's also not a perfect design by any means. 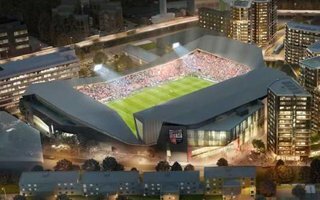 Here's what we took away from what Fulham FC submitted in their latest planning application. 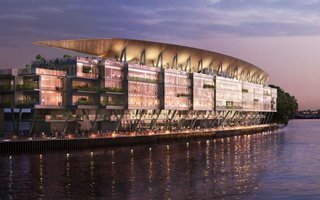 Want to see a stadium design like no other? Here you go, you're welcome! 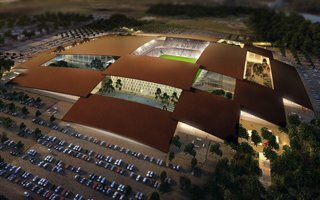 This fascinating complex by Bjarke Ingels Group could begin growing in Texas already in 2018. 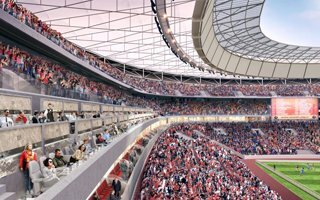 06.12.2017 Rome: AS Roma stadium approved at last! 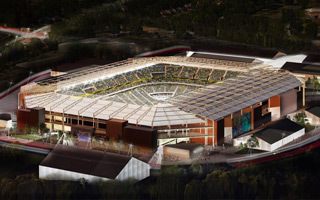 They need to climb back to Serie A and a brand new stadium with extensive commercial use should facilitate the return. 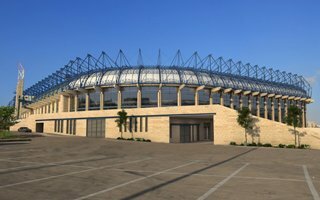 Delfino Pescara hope to move to a 20,700-seater as soon as 2020. 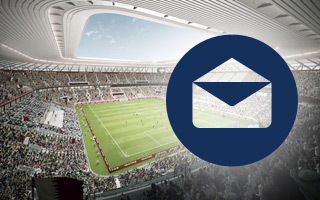 02.12.2017 StadiumDB Newsletter: Issue 37 – got these news?